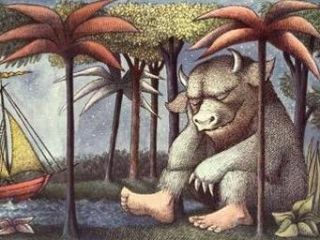 Spike Jonze's movie take on Maurice Sendak's Where The Wild Things Are is due to hit the cinemas later this year, with the news this week that a videogame version is also in the works. The development duty on this children's classic is being handled by US developer Amaze Entertainment, that has revealed the Where The Wild Things Are game will be out later this year for all platforms. And if you have still to see the jaw-droppingly sublime trailer of Jonze's take on Where the Wild Things Are then we urge you to drop everything and take five minutes of your day to be reminded of what being a child feels like. No more info or screens have been made available on the Where The Wild Things Are game as yet, but TechRadar expects that we should see the game releasing alongside the movie in October this year. Amaze Games is best known for their previous effort Lemony Snicket: A Series of Unfortunate Events. For more check out amazeent.com/company.